cosmopolitan center, then the unthinkable happened. The bloodthirsty Khmer Rouge regime took over the city in 1975 and emptied its 2 million residents out into the countryside in a matter of days. Suddenly Cambodia’s main center of commerce and knowledge was empty, a shell of its former self. A four-year-war ensued, the Vietnamese kicked the Khmer Rouge (KR) out in 1979, occupied the country for the next decade, then the United Nations ran things for more than a decade. There’s been more or less peace and stability in the city for the last 15-plus years, with the last five seeing the city go under remarkable and rapid change, with foreign investment, especially Chinese, pouring in, skyscrapers going up, and things changing daily. 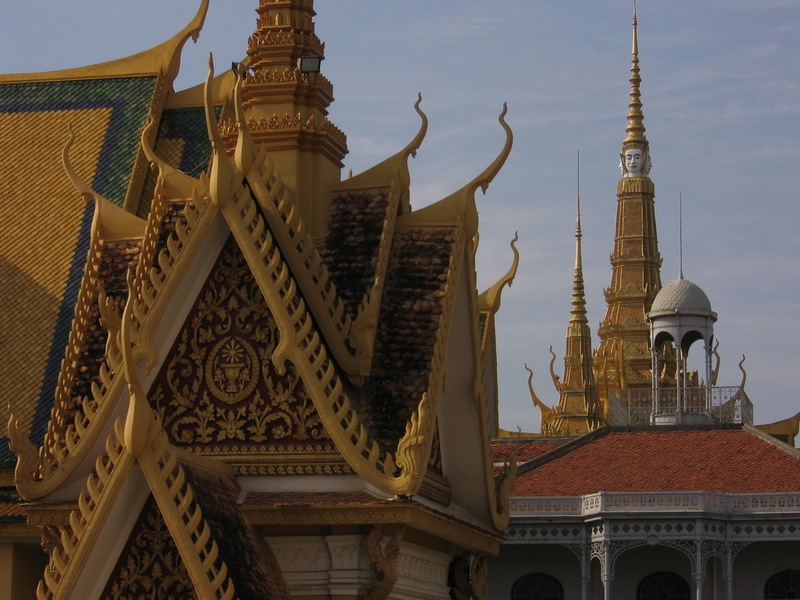 Phnom Penh is an exciting, vibrant, and ever-changing city that we love. Today we’ll share some of our favorite things to do if you’re there for three nights. 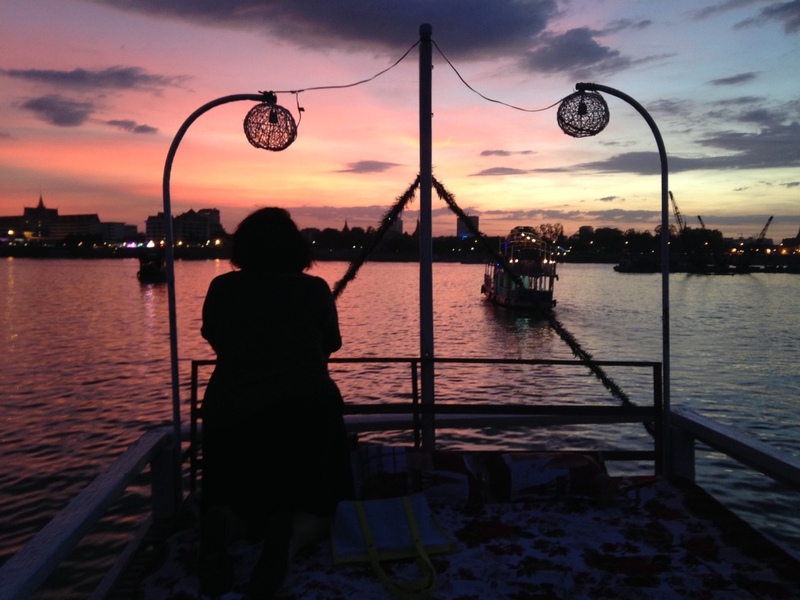 Trevor: For many years, Phnom Penh was the place to get a hot shower, put on some clean clothes, and have a night on the town after weeks in the countryside, which is very different. Phnom Penh is ‘the big city’, and it has certainly changed much more than many rural areas, though Cambodia is changing rapidly in all regards. Believe it or not, I think the biggest change is just the cleanliness in the areas most frequented by tourists: the Riverfront, and around the palace and museum in particular. Certainly there are high-rises now, but otherwise, the city is constantly changing, and going back so often, I’ve seen the changes occur gradually so it’s not such a shock. Except the much nicer streets, manicured riverfront, and obviously all the construction across the river and just down the river in the south of town. Oh and the lake is gone now, right? Download and Listen to Episode 33 on SoundCloud or iTunes Now! Scott chimes in and talks about his first time to the city and how it’s changed since then. Trevor retorts and shares some of his favorite things to see around town. Scott shares some things he likes about the city: the wide French boulevards, Riverfront walk, incredible variety of food/bars, colonial buildings, and the people. There’s still a mysterious feeling in the air. Layout of the city: how long it takes to get places. How to get around: ramork, motodop, walk. Safety: getting safer by the day but carry bags and cameras facing away from the street, don’t stand too close to the street while taking a picture, keep wallets in a tight pocket, and don’t walk alone at night. Make sure your room windows are locked, don’t ever fight someone who has broken into your room. Hang onto your stuff even in a tuk-tuk. Key Sites: Wat Phnom, Independence Monument, Colonial Area around the Post Office (Raffles Hotel), Riverfront walk, Central Market, Russian Market, New Khmer Architecture, S21, Killing Fields, River Cruise, eating/drinking, Wat Phnom (and monkeys), National Museum, Souvana Phoum Theater: shadow puppets and dance. Activities: cycling (nice island trips, even not crazy to take a spin around the city), trip to ‘Mekong Island’ (very charming and a great place to buy silk). Architecture tours, cooking courses, boating, slow down – walk/look around, eat well, take a cooking class (try Frizz on 240), see a dance (SouvanaPhoum Theater) and lots of good day trips: Oudong isn’t THAT cool, but Phnom Tmao ‘zoo’, Angkor era-temples at Tonle Bati, and the Angkorian and pre-Angkorian ruins in Takeo are pretty cool, if you aren’t going to make it up to Siem Reap. Eating: a wide variety of cuisines, and the fact that they emerged due to the longstanding international community of aid, NGO and UN persons living/working in the city. You can get just about any cuisine here, and a nice feed for $10US. Drinking: Phnom Penh does this really well. There’s always somewhere opening/closing, all kinds of vibes (wine bar, pub, dive, cocktail bar, club, karaoke) and beers start from about $0.50US at Happy Hour. Good times all around! Assuming you arrive in late morning/early afternoon, walk from your hotel to the Riverside walk and walk it at least once. You can make a walk all the way through Wat Botom Park, then up along the boulevard to Independence Monument and back. Then make your way to the FCC for some sundown drinks. Dinner at Malis, the most renowned Cambodian cuisine establishment in town. Drinks: Metro, Liquid, there are wine bars, latin bars, you name it, Phnom Penh has it. Lunch at Romdeng (reserve ahead). Dinner at Souvanna Phoum BBQ and lots of beer. Hit the town, hitting lots of bars including Zeppelin bar, Heart of Darkness, and Pontoon (all legendary), Howie Bar, stroll (put some seedy streets in here) and if you’re really hungry late, go to Sam Doo for dim sum/Chinese. Stroll the city’s Colonial Area, then make your way to the Central Market. Enjoy a nice Khmer lunch: Sugar Palm on 240, which is a nice street to stroll for shopping, including a number of social-enterprise-type businesses with crafts and such. 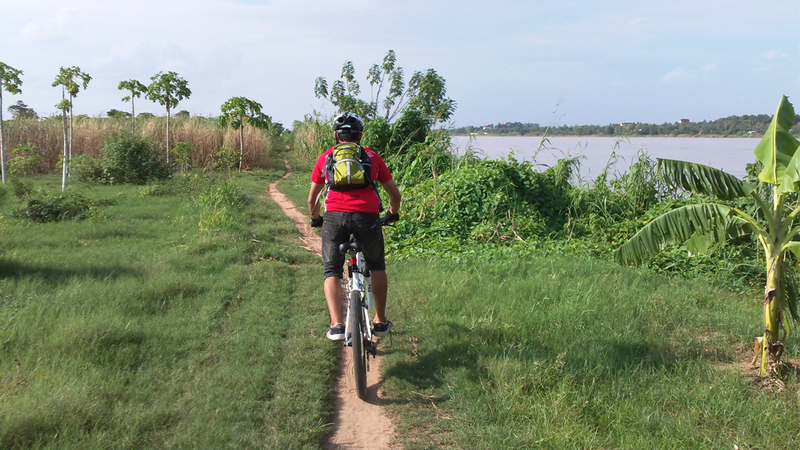 Perhaps an afternoon bike ride on the Islands of the Mekong with Grasshopper, or visit Wat Phnom and do a boat cruise for an hour or so as the sun sets (take some snacks and drinks). Happy Hour at The Elephant Bar. Nice dinner at: Van’s (French cuisine in a colonial mansion: good, but certainly more about the setting than the food). For younger travelers looking for something more edgy: Tepui at the Chinese House. Morning stroll along some boulevards. If you have a full day, consider a day-trip to Tonle Bati or Phnom Chissor if you aren’t going to go to Siem Reap and want to see some temples, including those built by the kings who constructed both Angkor Wat and Angkor Thom and the Bayon. Stay – Trevor likes Amanjaya and Scott likes The Plantation.